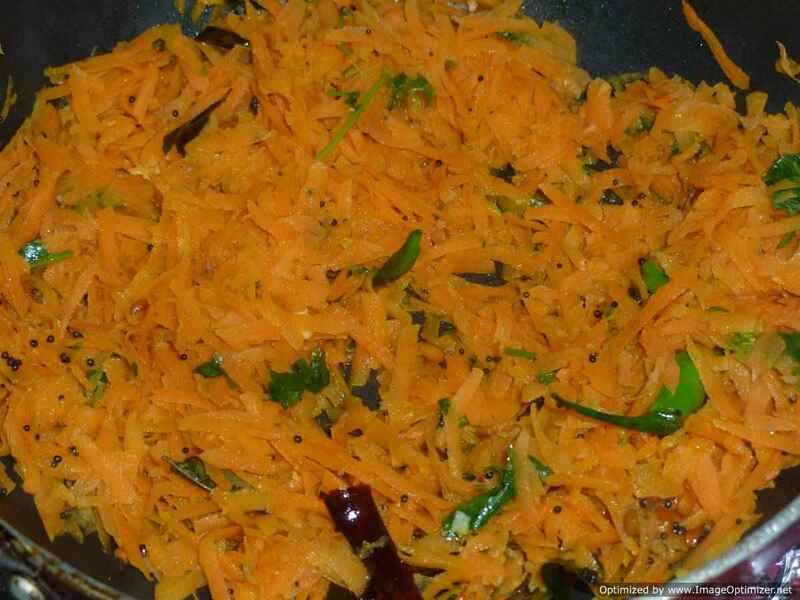 Carrot Poriyal is a good source of vitamin A and good for eyes. 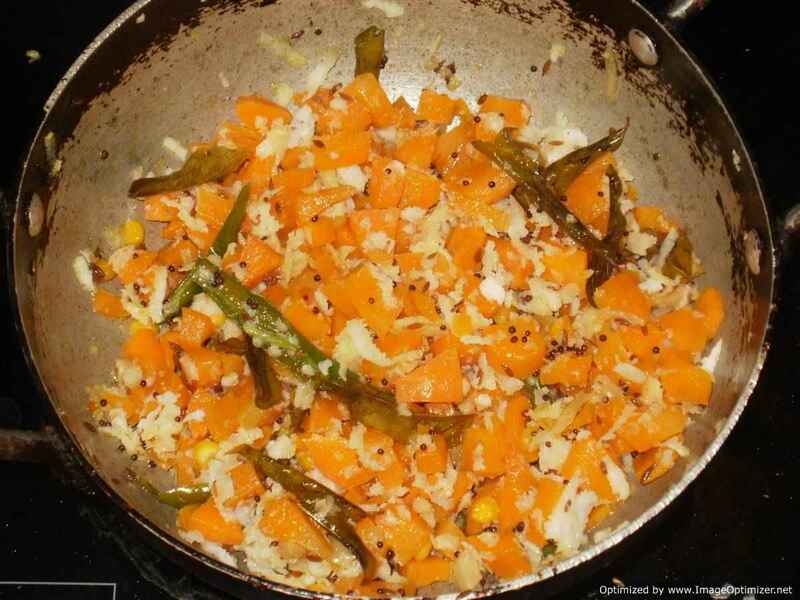 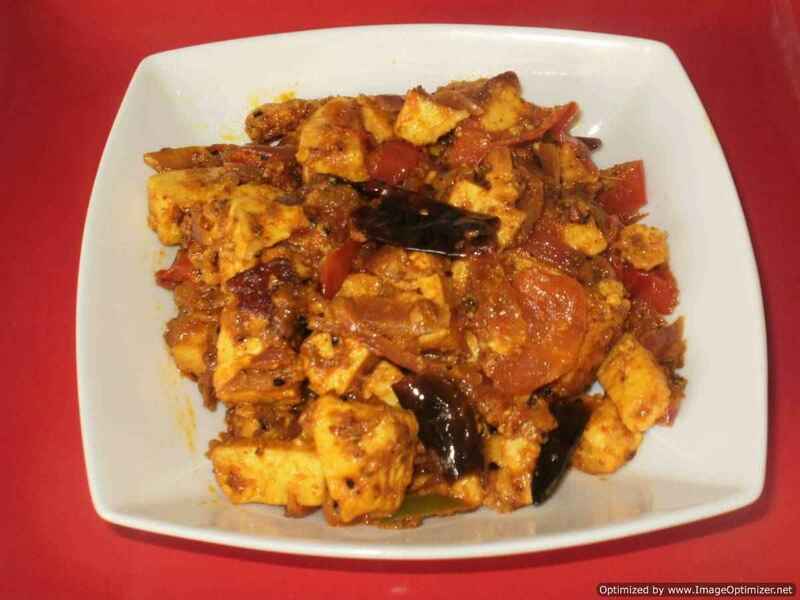 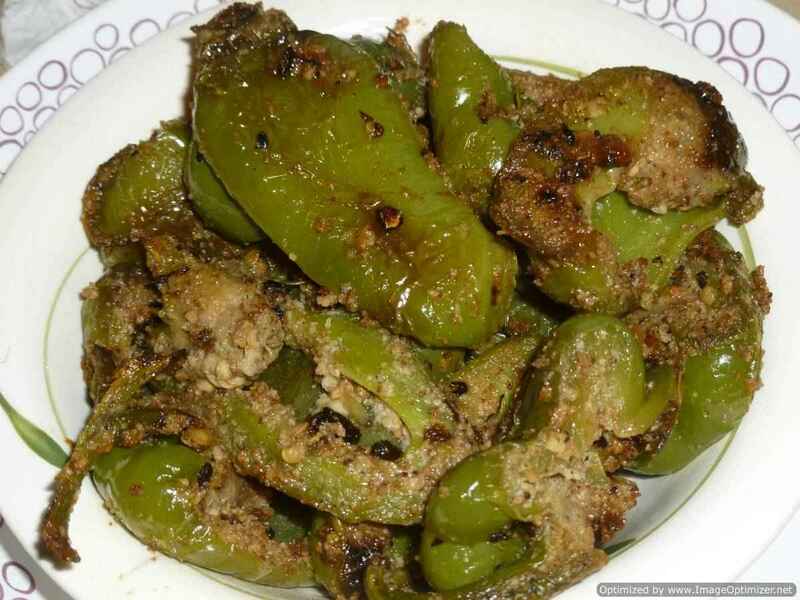 Poriyal (stir fry), is a Tamil word which is used in Chennai for fried vegetables which is shredded or chopped finely. 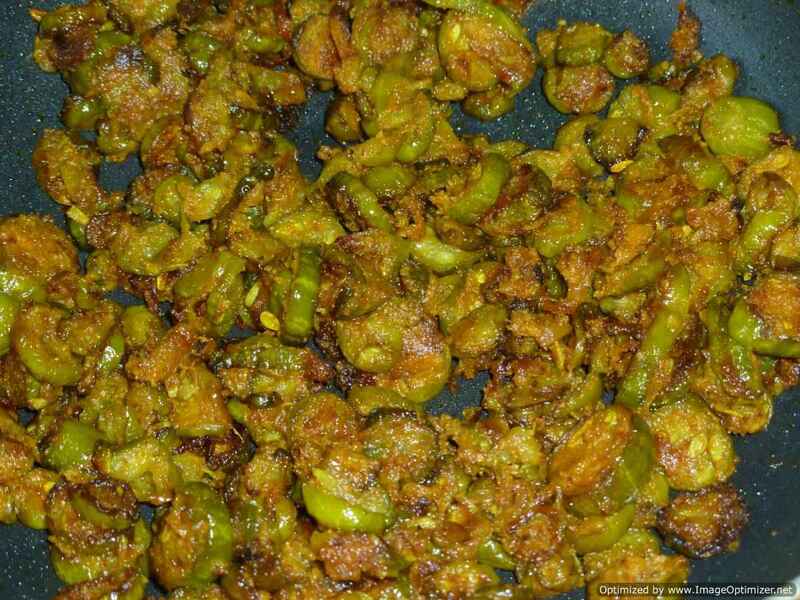 It is a very important part of south meal. 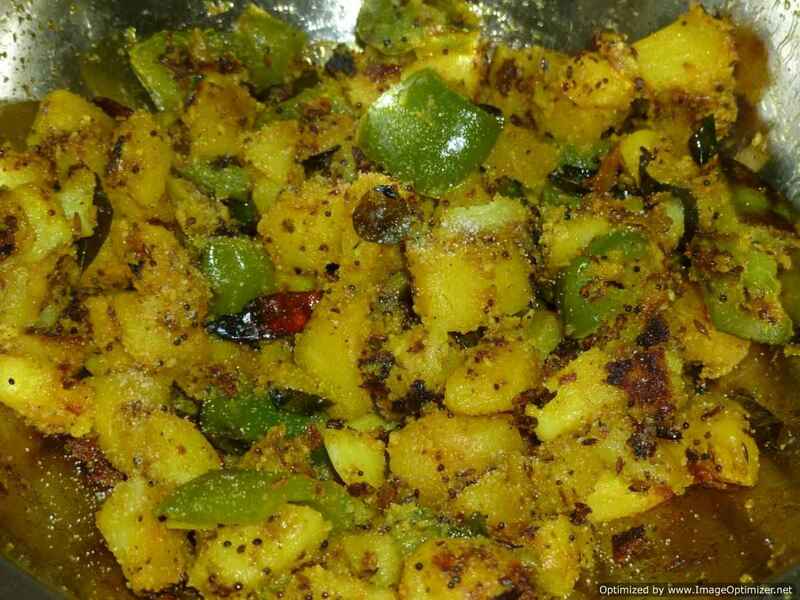 It is served as a side dish in 3 course meal which is served with plain rice, Sambar, Rasam and curd. 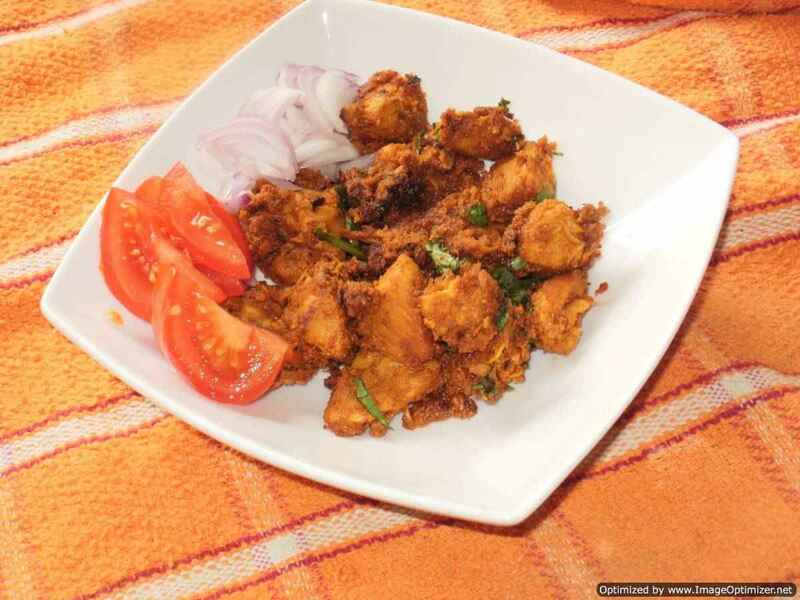 When you go to any restaurant in Chennai, and order for meals during lunchtime, you will see that rice, Puri and side dishes with curd and Pickle is served. 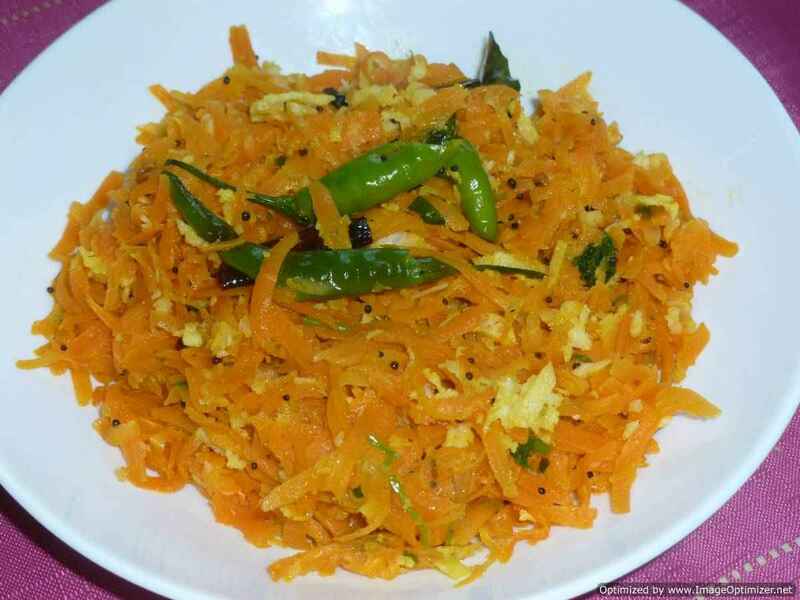 With that side dish poriyal is served. 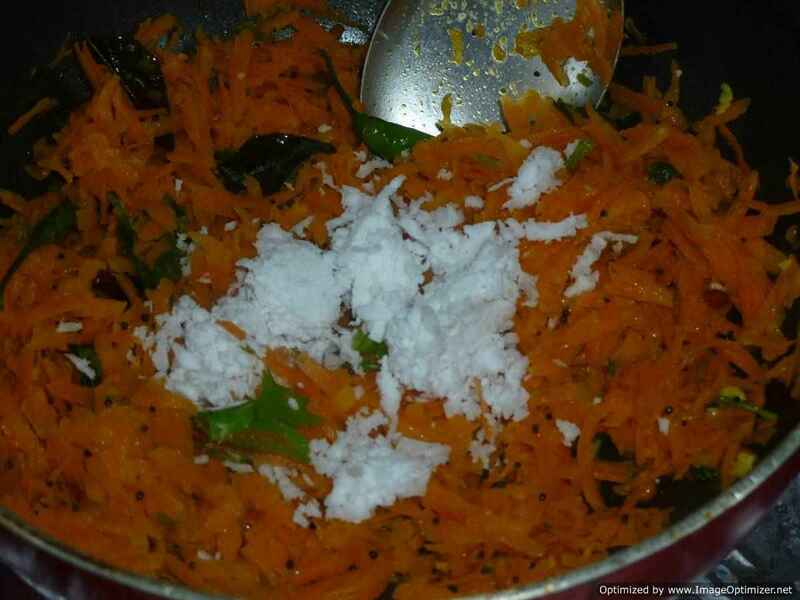 Grated or shredded Coconut is added at the end as a dressing and for a special taste. 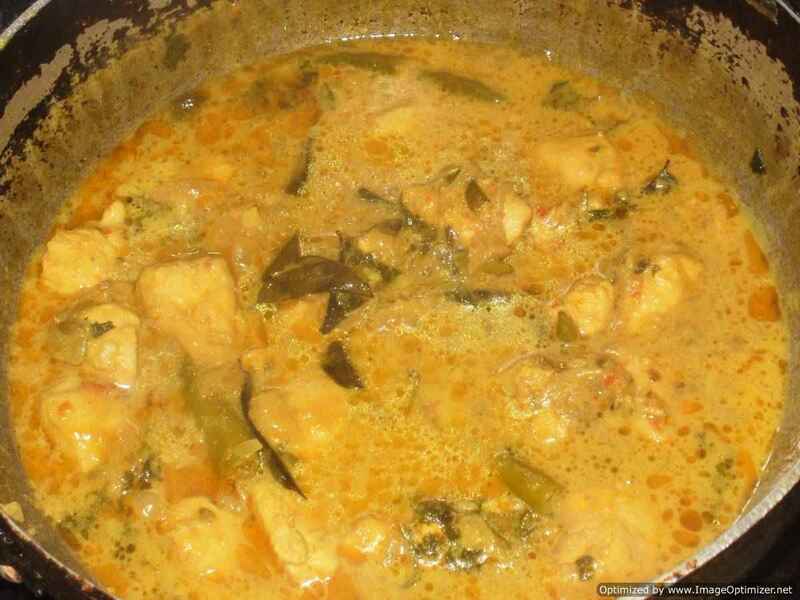 It is simple and easy to cook. 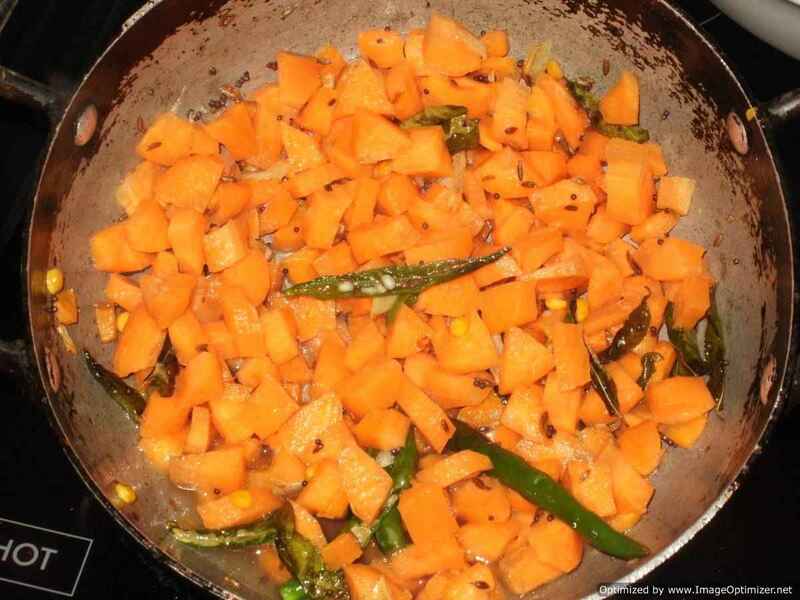 In Poriyal , seasoning is done and then raw vegetables are added or steamed Vegetables(boiled) like Carrot, Beetroot, any Beans , Radish, Cauliflower, Cabbage(white and purple), and many more Vegetables, which tastes good and good for health as a very little oil goes in It. 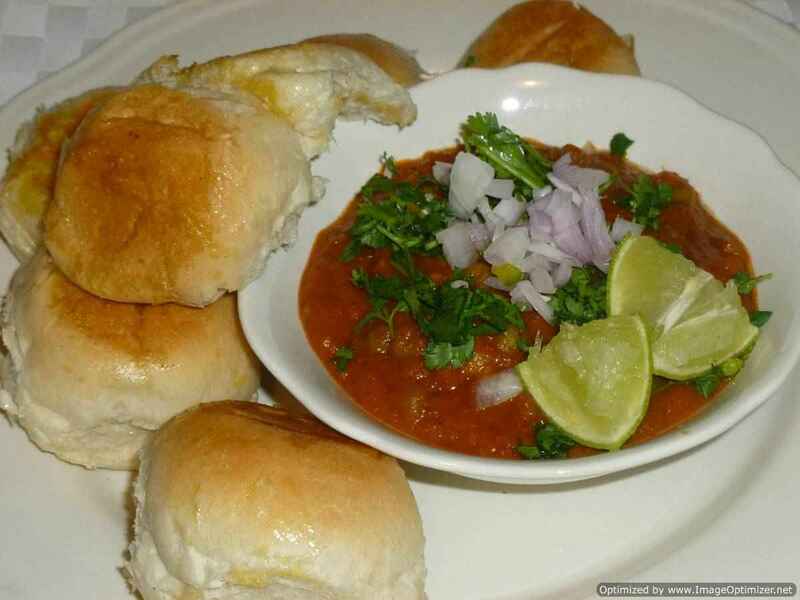 I always prefer veg thali(meals) in afternoon, if iam having my lunch in a restaurant. 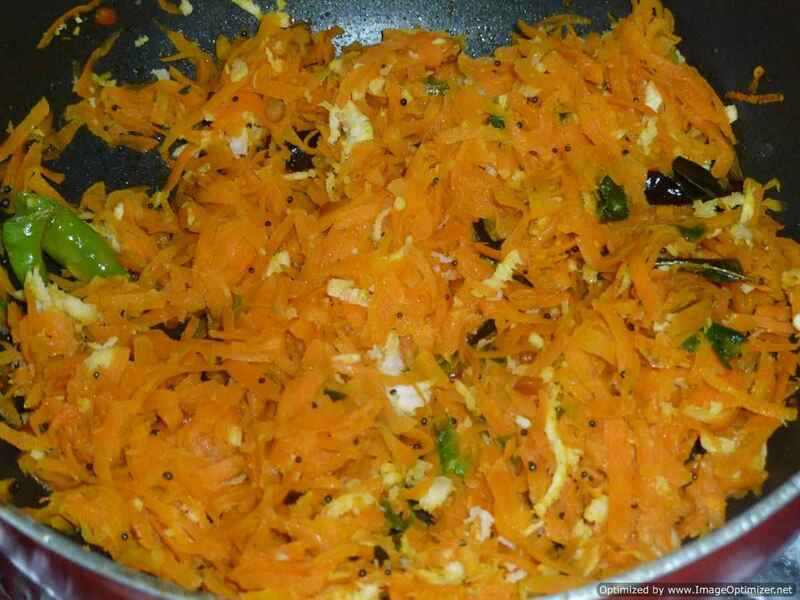 In the carrot poriyal, I sometime add cumin seeds and garlic or avoid both. 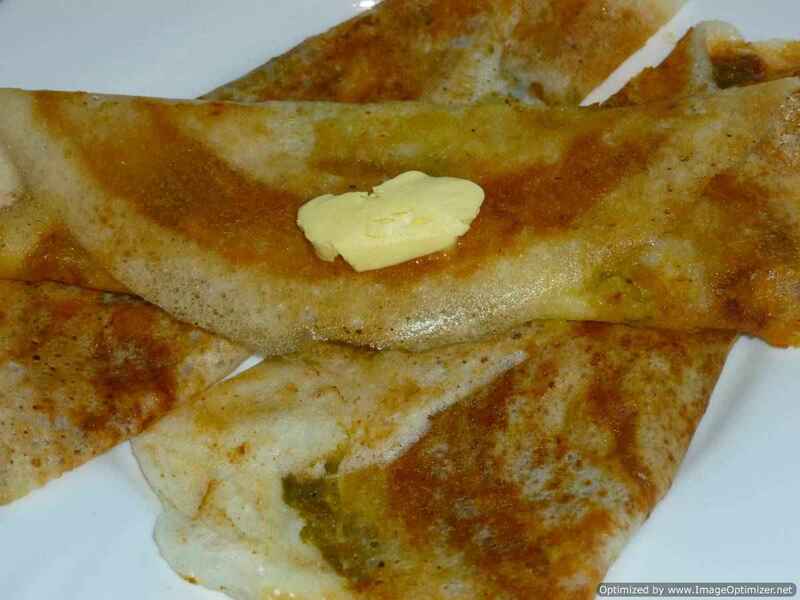 Can add dry coconut and garlic coarse powder which I have shown in dondakaya vipudu (tindora fry). 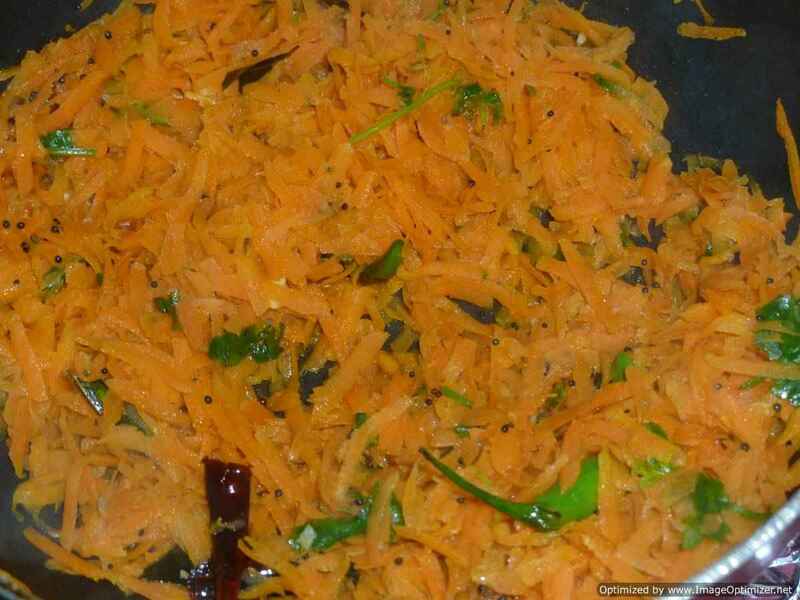 Grate carrot, slit the green chillies and keep it aside. 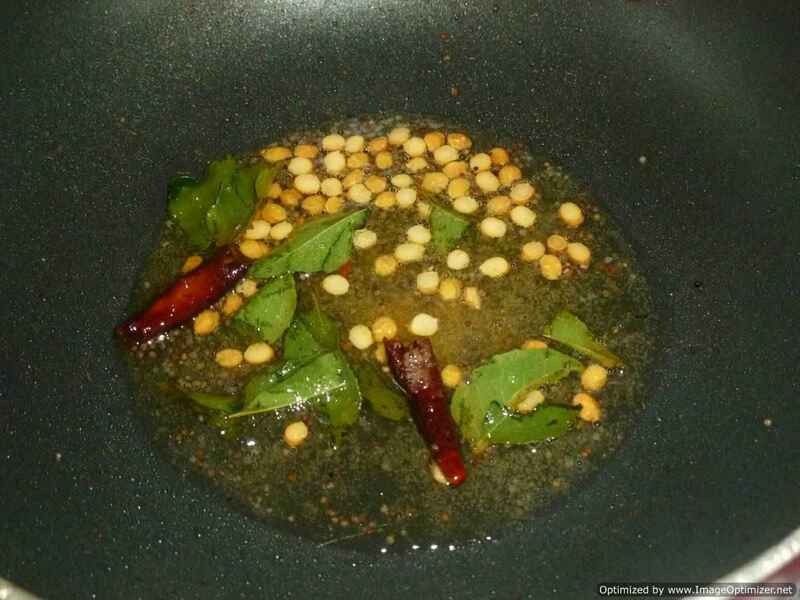 Heat the kadai with oil, when hot add mustard seeds, hing, chana dal, dry chillies , curry leaves stir well, when it sputters add green chillies fry it, for 10sec. 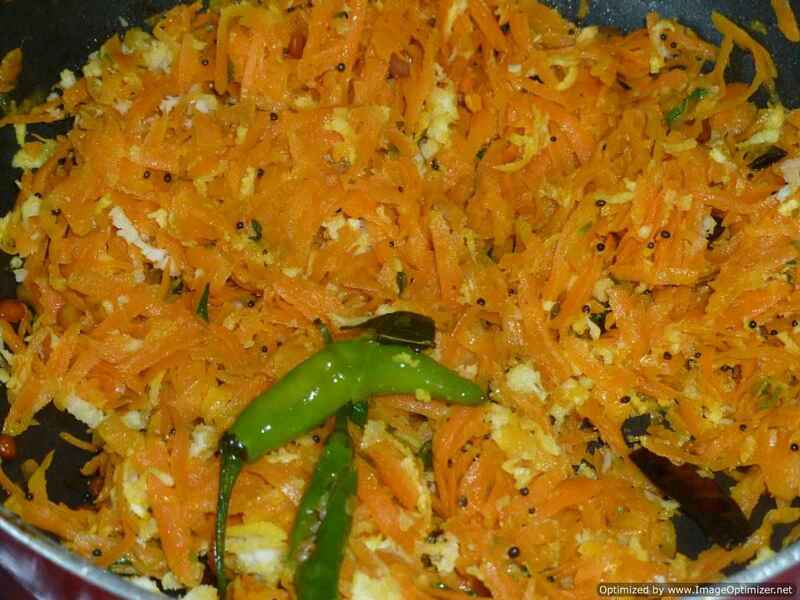 Add grated Carrot, salt, mix well. 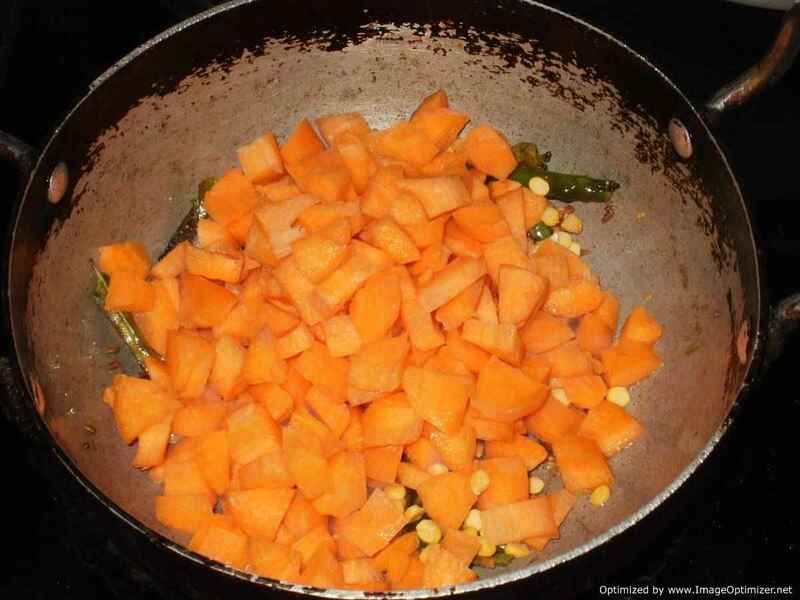 Close the lid and cook Carrots on simmer flame, it will take 7 to 8 mins or until it is cooked. 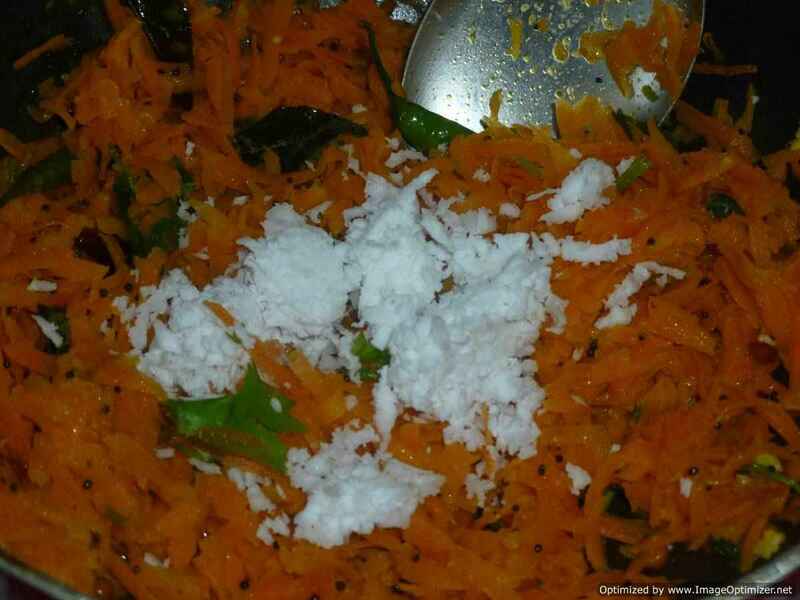 Add grated coconut, mix well and switch off immediately. 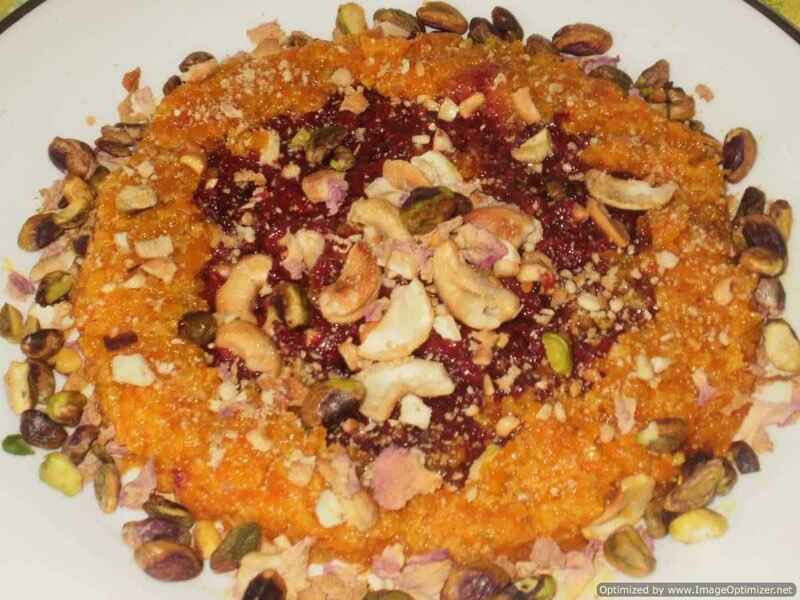 Close the lid and let it rest or serve immediately. 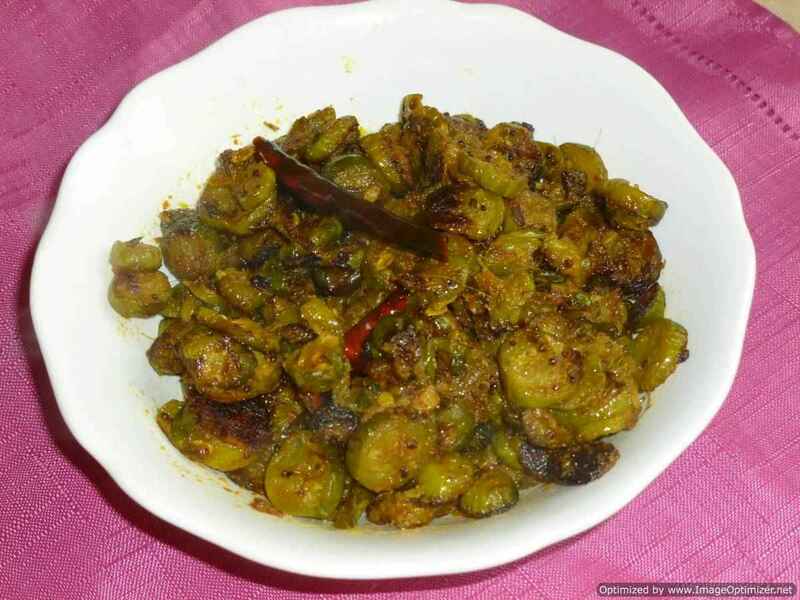 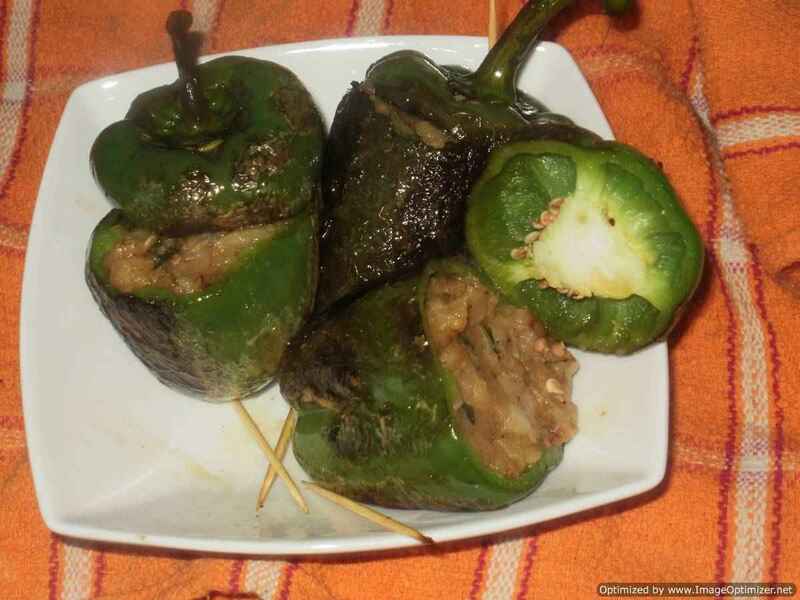 Serve this poriyal with plain rice and sambar or rasam or any dal you like. 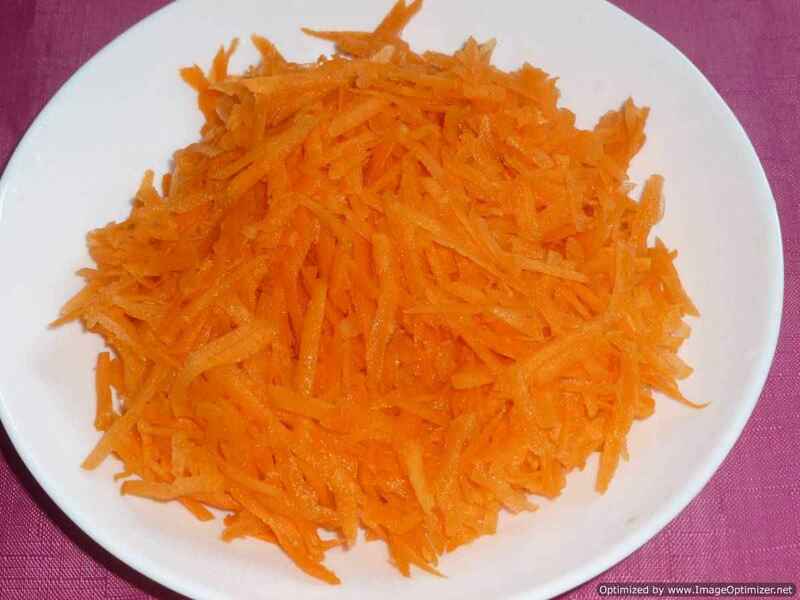 Carrot can be grated or chopped as per your taste. 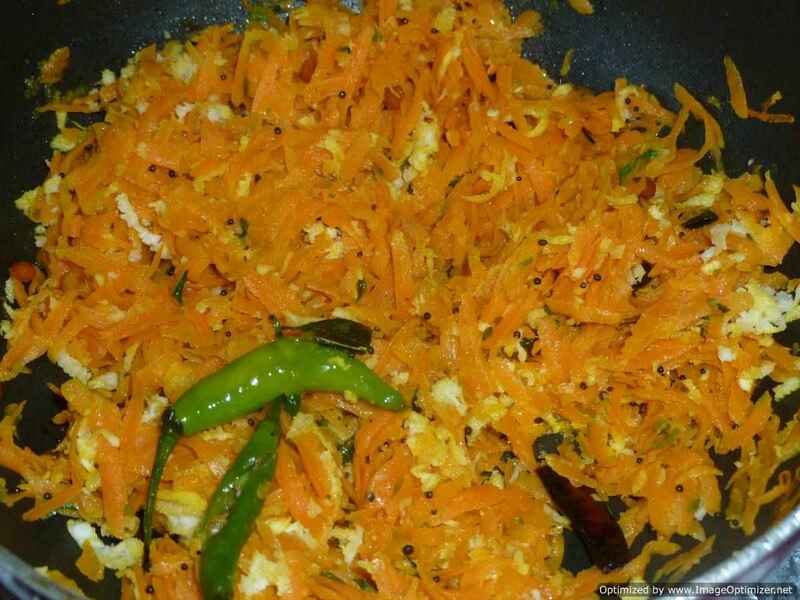 In this chopped carrot poriyal (230gms), I have added cumin seeds and garlic cloves with the same seasoning as above and added some water 4 tbsp to cook in simmer and added coconut in the end. 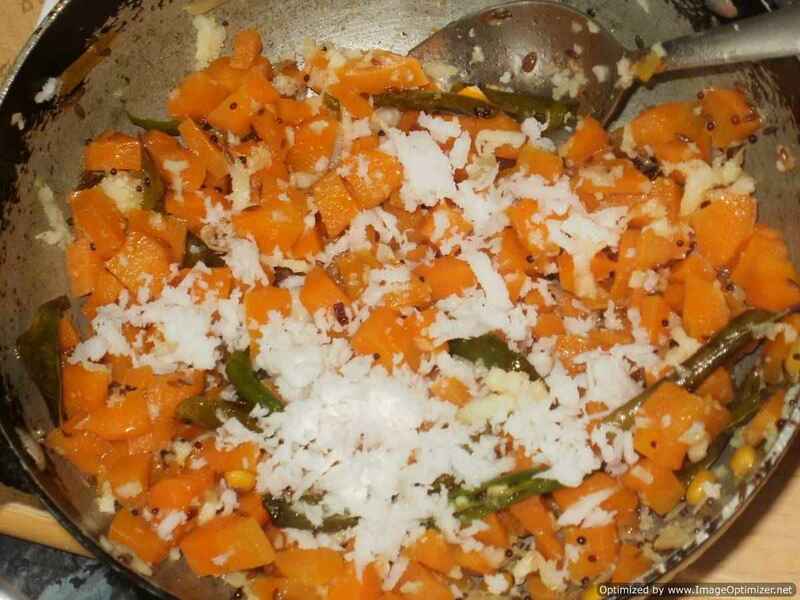 Can add the boiled or steamed vegetables after the thadka, mix it well, it should be dry but moist, then add the grated coconut and switch it off. 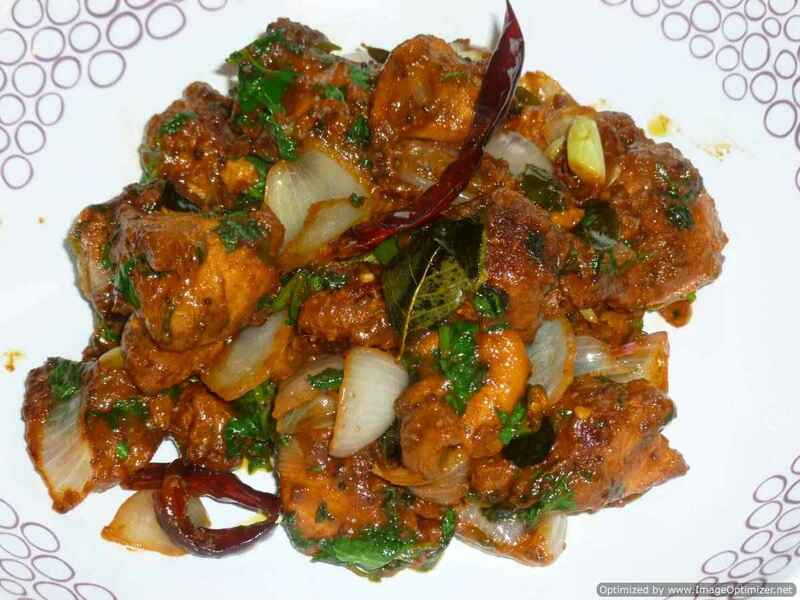 It is for quick version. 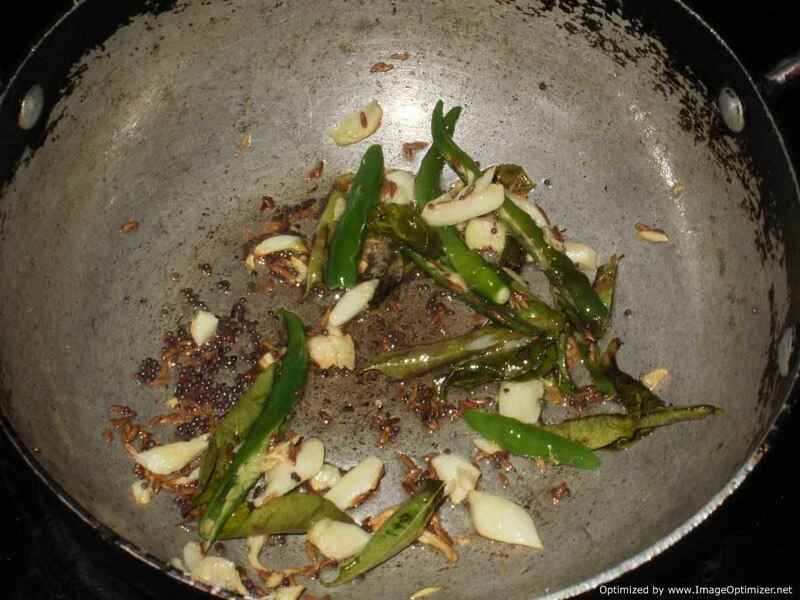 I love to add garlic in my stir fries (poriyal), but it’s optional. 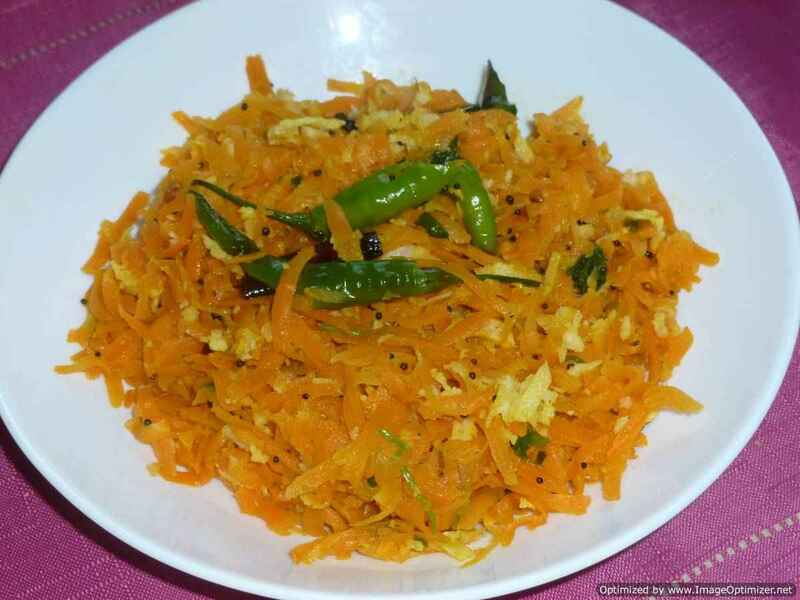 Sometimes I add 2 garlic cloves in the grated coconut just coarsely grounded and added to the raw carrot and cooked on simmer for 5min, which gives a lovely garlic flavour.